Prelude to 'The Great Train Robbery. Modeled after (but not as exciting as) Williamson's 1901 'Fire! 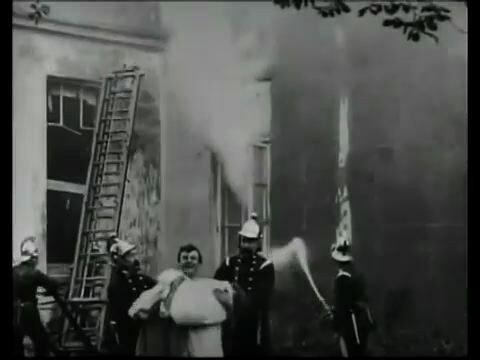 ', but the pre-classical instant replay of the rescue (providing both inside and outside views) can seem delightfully offbeat, even avant-garde, for modern viewers accustomed to the classical cross-cutting approach. Read the title - that's all you need to know.